I’ve spent over 40 years in manufacturing. The vast majority were in purchasing, having held positions ranging from Procurement Engineer (translate: Technical Buyer) to Strategic Sourcing Manager, Materials Manager, Chief Procurement Officer and Executive Level Consultant. In all of those jobs I’ve always been an agent of change. For example I was the chief architect of a supplier development strategy and process that ended up being adopted across a S & P 100 corporation. The resulting supplier development function ended up as the prime mover of that company’s successful entry into a highly profitable marketing channel. Over that time I’ve seen significant change in manufacturing. All sorts of more effective strategies and more efficient processes have been introduced that have led to significantly improved business results. Unfortunately, very few effective innovations have been introduced to the practice of purchasing. In fact, the essence of procurement today is pretty much the same as it was several generations ago. Although there have been multitudes of technology related changes within Supply Management most have been tactical — offering incremental improvement in process efficiency but rarely resulting in a significant ongoing business impact. For instance, “Three-Keystrokes-and-a-Cloud-of-Dust” doesn’t offer much above the traditional “Three-Quotes-and-a-Cloud-of-Dust” sourcing process. Sure, working electronically saves trees but in the big picture doesn’t really change the fundamentals of the supplier selection process. Similarly, most new internet-based purchasing tools haven’t panned out as the strategic innovations they were touted to be. For instance, an online auction is just an updated version of the traditional Dutch Auction. I understand that conducting competitive auctions in real-time increases the pressure on firms competing for a customer’s business, which may be a good strategy in buying (some) commodities. However, online auctions don’t pass the smell-test for selecting suppliers who can offer their customers an ongoing marketplace advantage — something suppliers of commodities can’t really do. Streamlined real time Logistics is another example of a highly touted procurement-related tool but, again, it delivers only incremental improvement to a tactical process. A far better way to reduce supplier transportation cost and time — as well as have more consistent supplier delivery performance — is for customers to work with more local sources, as (for instance) Japanese car OEMs have been both preaching and practicing for years. I have found Make Time’s business model to be truly different. They have actually defined and implemented a innovative sourcing strategy and service that fundamentally improves the procurement process. MakeTime has reimagined the way in which customers and sellers are matched-up as well as how they work together. Focusing only on machined parts, MakeTime has a supply network of literally hundreds of sources across the entire country. Yes — the only machine shops MakeTime will work with are those sited in the United States. Why? In their initial due diligence MakeTime found that OEMs and other purchasers of machined parts continue to primarily source overseas because they have little-or-no-visibility into the increased capabilities and competitiveness of machine houses more local to them. In other words, many OEMs send parts overseas when there are machine shops nearby that could competitively deliver the same parts more responsively. And — and this is an important “and” — working with only domestic sources eliminates the need for a lot of customer logistics overhead and transportation costs. 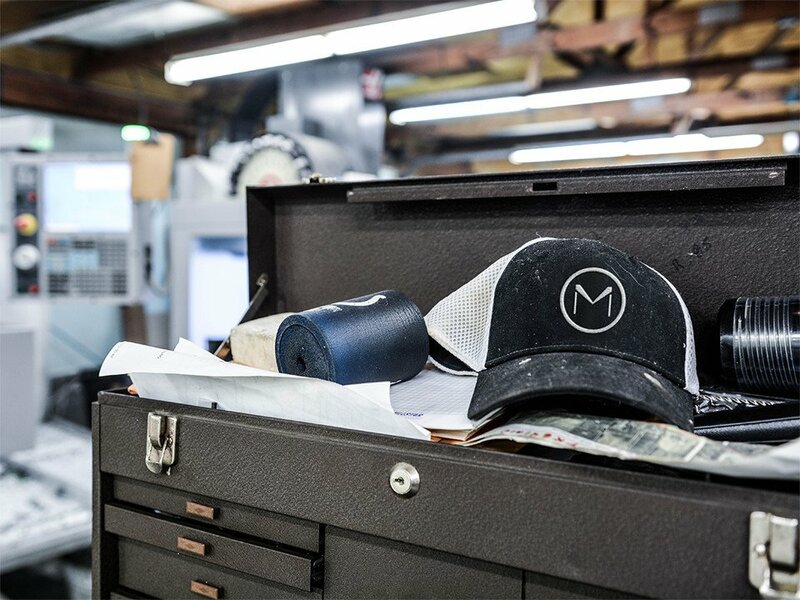 MakeTime doesn’t just take any machine shop into their supply network — they set high capability and performance standards. For instance, suppliers are required to provide data-based metrics defining their process availability, including capacities and lead-times. By collecting and utilizing data like this, MakeTime obtains in-depth knowledge of real-time production availability — knowledge which is truly unique in the industry. This understanding allows MakeTime to operate as an Honest Broker between customers and sellers, by ensuring that only those suppliers with capabilities aligning with customer specific needs are included in the quoting process. Unlike other sourcing services available in industry today MakeTime’s involvement doesn’t end when a source in their network receives a purchase order. Rather, they stay involved with both suppliers and manufacturers to try to improve any performance shortfalls that may occur. Although rare, if an issue in performance occurs, MakeTime stays engaged until customer needs are met. The company also tries to identify and help improve the performance of their suppliers through a system of reports as well as overall through programs and initiatives. For instance, when an issue arises the source involved is not included as potential source for new jobs until a corrective action report is received and verified. I realize that this article could be seen as a sort of shill for MakeTime. My intent, however, has been to explain what initially got me interested in writing for them. I admit I am a supporter of theirs — as I am of all true innovators — and would like to see them successful. However, this is not my primary reason for my writing this column. Instead, I will be writing on issues related to both sides — supplier and purchaser — of the sourcing process hoping to give each ideas on how to improve business results. When appropriate I will call out how MakeTime meshes these issues. Please feel free to give feedback on my articles. Learn more about Paul Ericksen and his many years in the manufacturing industry, here.